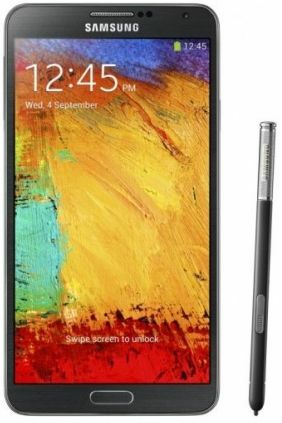 You can scrape part of a web page into your Scrapbook by drawing the area you want to save with the S Pen in Scrapbook mode. The content in your drawing area (based on the top and bottom location of your drawing) will be saved, together with the title and URL of the content. Next time, when you open this content, you can directly go to the web page if you want. You may use the easy clip (we already have this in Galaxy Note II) to scrape any contents (although we use it mainly for pictures.) and save it to the Scrapbook. It is interesting to note that you can also embed YouTube videos in Scrapbook. Simply draw something in the video window, the screenshot of the video will be saved, together with the title and URL of the video. You may also add some notes to it. When you open it from Scrapbook, you can directly play the video within your memo without going to YouTube. Of course, the video is not saved, only the URL of the video is saved. 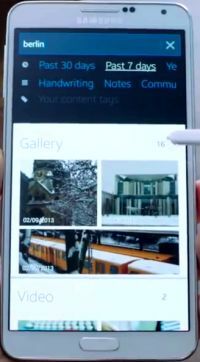 Screen Write allows you to capture the screenshot directly. This is not new. In our 2-year old Galaxy Note (Note 1) and Note II, we already have 3 different ways to take screenshot directly. The Screen Write adds one more practical feature on the screenshot-capturing: you can write notes or comments or additional info for it before saving. This is somehow similar to LG’s Quick Memo. S Finder allows you to search everything in your Note 3: documents, photos, events, messages, emails, help page. S Finder can even search for hand-written content (even including symbols and formulas) in S Notes and memos. This is a long-anticipated feature for S Note users. The search is quite powerful. You can use keywords plus filters such as date, location and content type, to narrow down the search to get desired contents. Another super-cool feature of S Finder is that it can even search phone settings, and you can change the settings directly within S Finder. This can be very useful because otherwise, you have to go through a lot of setting pages to do it. Sometimes, you may be not sure about the location of such settings. Pen Window allows you to open a small application window for a true multitasking without affecting current activity. You can achieve this by simply drawing any shapes on the screen with your S Pen. Currently, you can choose only 8 apps for the Pen Window: Calculator, Clock, YouTube, Phone, Contacts, ChatON, Hangouts and Internet (aka browser). Of course, this is a complement to the multi-window function (we already have in all previous Note devices). It seems Air Command in Note 3 is really impressive. Previous generation Note devices like Note II, Note 10.1 and Note 8.0 will very likely get this feature through a future update. Note 1 probably will not get it. What do you think about this Air Command? Useful or just a gimmick? Let us know in the comment box below. There is no change in air command. Can you launch air command? When I try to save a website in the scrapbook it only saves as an image. How can I make it save as a web? It depends on the area you draw. Try to leave small gap somewhere if you cannot select the whole paragraph. What do you mean stop writing? How does the screen respond? My S Pen has stopped working. Neither removing it from the phone nor hovering and pressing the pen button will bring up the Air Command. Anyone have a solution? 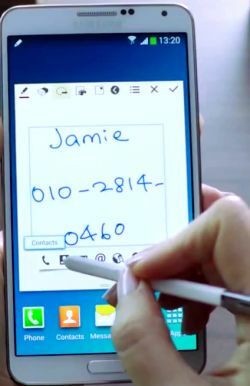 You probably have to visit Samsung service centre to check the pen. Annie – remove youtube upgrades & it will work. Recent uprade broke the ability to watch youtube directly vs the image. Ths might sound a little dumb but how do I remove the youtube upgrade? When I tey to save a video from youtube in the scrapbook it only saves as an image. How can I make it save as a video? Scrapbook only saves the URL of the video, and the screenshot. Playing the video in scrapbook actually is through YouTube. So, you need make sure you are online when trying to play it. It is supposed to work in that way, as I know.